5th Century BCE: Hippocrates, the Father of Western Medicine, discovers the medicinal properties of mastiha and uses it to treat digestive problems and colds. 189 CE: With Chios under the Roman Empire and settlement exchanges between the island and Roman capital, mastiha trade is promoted and grows exponentially. 251 CE: Chian folklore has it that Isidore (a Roman general) is tortured and beheaded by officials of the Roman Empire for refusing to renounce his Christian faith to worship the pagan gods of the state. The mastiha trees are said to have wept at the sight of St. Isidore’s martyrdom, and these tears became the sacred mastiha resin droplets. 4th-5th Centuries: ‘Apicius’, the Roman collection of cookery and drinks recipes, records one of the first mastiha cocktails: Conditum Paradoxum, a mixture of mastiha, wine, egg, honey, pepper and bay leaves. 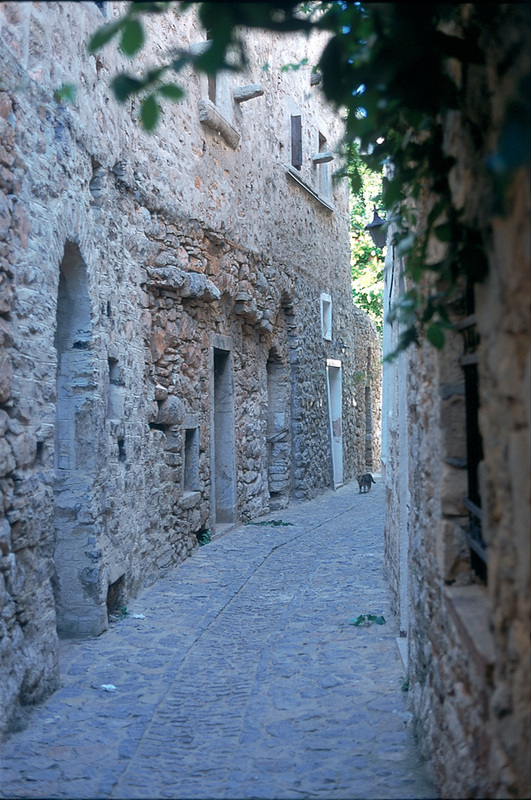 14th-16th Centuries: Twenty-four ‘Mastiha Villages’ are built like impenetrable fortresses in southern Chios with gates that close at sunset, to protect the precious resin from pirates and looters. 15th Century: Christopher Columbus travels to Chios; fascinated by the healing properties of mastiha, he writes that he believes the resin will cure cholera. 1512: Pope Alexander VI tries to appease king Henry VIII using Chian products including marble, honey, mastiha and mastiha liqueur. Late 16th century: Sultan Selim II takes possession over mastiha trade and monopolizes the finest mastiha crop to offer to his harem. 1912: Chios becomes part of the new Greek state, and the mastiha villages are the first to be liberated from Ottoman rule. 1938: The Chios Mastiha Growers’ Association is founded, bringing together the people of the cooperatives of the mastiha villages under one umbrella ‘Union’.